This is the license for BubbleUPnP, removing the ads and limitations of the free version. Please install and evaluate the BubbleUPnP app first as this is just the license. To hide this license app icon from the launcher, start this license app and click “hide launcher icon”. BubbleUPnP is a full featured UPnP/DLNA Control Point, UPnP Media Renderer and UPnP Media Server. Play easily your music and videos on your phone and devices on your network (DLNA TVs, XMBC, WMP, …) from your external UPnP Media Servers. Play your phone/tablet media to those devices. Browse and play your local phone/tablet media from other devices (PS3, …). More than just regular LAN streaming, BubbleUPnP can also stream efficiently your media via the Internet over a mobile or WiFi connection. Internet streaming requires installing server software “BubbleUPnP Server” running on Windows, MacOS X, Linux or a NAS (it is not required for regular LAN streaming, see NOTE below). 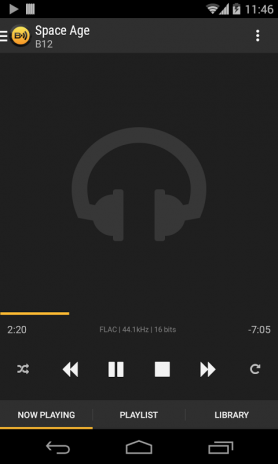 Stream music and videos from your UPnP/DLNA Media Server (Twonky, Asset UPnP, any NAS with UPnP, …) to your Android device. Codecs supported for audio: with system decoders: MP3, AAC (without DRM), WMA, Ogg Vorbis. With custom decoders WAV, FLAC, ALAC, LPCM. WMA support is manufacturer and model dependent. Vorbis may not work on Android 2.1/2.2. Stream music/videos from your UPnP/DLNA Media Server to your UPnP renderers (software or hardware) on your network with regular playback controls (play, pause, seek, volume, …). UPnP Media Server (*** requires Android 2.2+ ***): play your local phone/tablet media to other devices or to your Android device (standalone media player). Browse and play your local phone/tablet media from other devices (PS3, WMP, …). Able to browse Filesystem (SD Card) in licensed version. Multiple selection. 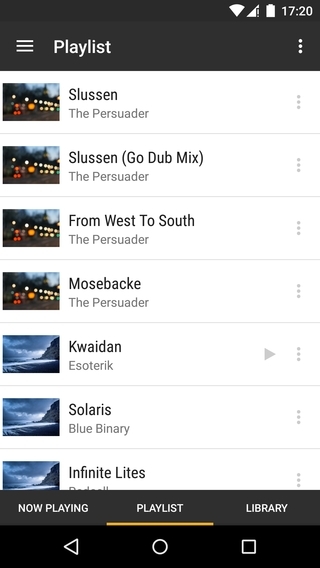 Anywhere a list of tracks or albums appear you can swipe many of them to apply a common operation (play, enqueue, remove, download,…). Control Renderer volume with the hardware volume buttons.